Tableau Friction: Is it Transparency? Is it Opacity? Labeled one, works like the other. Is it Transparency? Is it Opacity? Labeled one, works like the other. Sometimes Tableau throws a curve ball. This is one of those times. Suppose you had the opportunity to decide how transparent something was. What would 100% transparency mean to you? If you're like most people, 100% transparent means that it's completely clear, effectively invisible. I'm betting that you'd think it was completely opaque, utterly blocking from view whatever's behind it. I think you're onto my point—50% transparent means that half the light gets through, so you can see, albeit a little dimly, what it's in front of. Tableau lets you configure the Transparency of your vizzes' Marks. The Tableau Public published dashboard below shows three copies of the same Worksheet, configured with 100%, 50%, and 0% Transparency of the square marks. The only thing is, the % being configured is the Marks's Opacity. 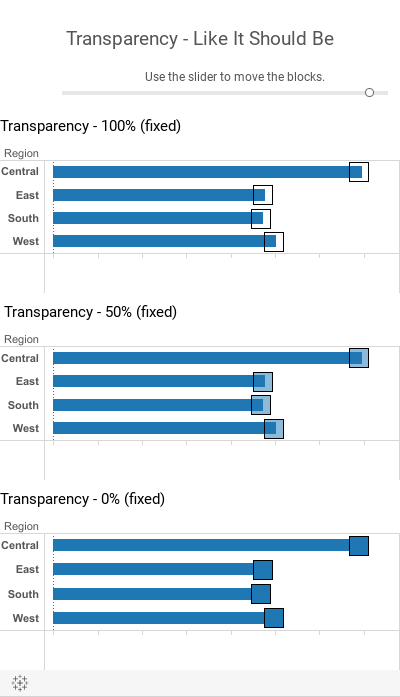 Here are the Transparency configurations as set for the three vizzes' square marks - actual screen grabs from the Tableau Workbook. Or maybe it's just that the Transparency control is just a little miswired. Maybe it just needs a little adjusting. I thought about flipping the control's scaling so that it would run 100%–0% left-right, as shown to the right. This would work technically, but we expect numeric scales to increase left-right, so this is a no-go. Changing the existing label on the control to "Opacity" would do the trick, with no functional changes. But people are used to "Transparency", in Tableau and in most other visualy applications, so this isn't optimal. And then it occurred to me: stop overthinking things. There's a solution that requires no changes to the user interface -and- corrects the situation so that 0% Transparency meams opaque, 100% Transparency means invisible, and all the intermediate values work correspondingly.  Reverse the function that applies the Transparency value to the marks' transparency property. It would be really handy if Transparency could be data-driven. The value can come from a field, source or calculated, or from a parameter, normalized to 0-100%. They should maintain the slider and just label the left end "Transparent" and the right end "Opaque".